Alexander Kanen has over eighteen years of business and legal experience in crafting investment ventures and strategic partnerships with particular emphasis on real estate and venture capital. Alexander is the founder and CEO of Kanen Law Firm, a boutique New York City law firm specializing in Real Estate, Corporate and Blockchain Law. Since founding the Firm in 2007, Alexander has represented hundreds of private, venture capital and institutional clients in all aspects and stages of commercial and residential real estate transactions, including acquisitions of reside​ntial properties, mixed-use and commercial buildings, vacant land, development rights, air rights, easements, syndications, financing, sale and leasing of virtually all types of residential and commercial real estate assets. Alexander was first introduced to Distributed Ledger Technology in early 2013, and in 2015, had pioneered real estate transactions which later became commonly known as “Bitcoin Closings”, and has since represented many clients in a variety of transactions involving digital currencies. 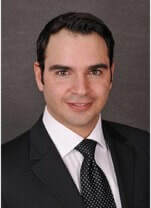 Alexander’s current practice is focused on advising domestic and international companies, high-net-worth individuals, entrepreneurs, start-ups, family offices and private equity funds in all stages of capital formation, including traditional venture capital, crowdfunding, as well as tokenizing existing ownership interests in real estate assets and/or raising new capital through tokenized equity offerings and other asset-backed digital security issuances. In pursuit of his early passion for real estate, in 2004, Alexander founded his first company, Vector Land Services, which he quickly grew into a full-service national title insurance agency, servicing the country’s top law firms, realtors, developers, lending institutions and real estate professionals throughout all of the United States. Since its creation and prior to it being acquired in 2007, Vector had insured title to over $1 Billion Dollars in residential and commercial real estate, and had handled some of the largest commercial real estate transactions of that time. Alexander began his legal career in medical malpractice litigation, representing physicians, private surgical groups, hospitals and other medical practitioners in all phases of complex medical malpractice defense litigation. Alexander received his law degree from the Maurice A. Deane School of Law, formerly Hofstra University School of Law, and received his undergraduate degree in Biochemistry from Clark University. Fluent in Russian, French and Georgian languages, and conversational in Spanish, Italian and Hebrew, Alexander is well travelled and well versed in intricacies of transacting business internationally, and represents many international clients from Europe, South America, Asia and Middle East. Alexander currently serves on the New York Board of Directors of FIABCI (The International Real Estate Federation) with members in more than 50 countries and Special Consultative Status with the Economic and Social Council of the United Nations, and is the co-founder of BASIS (Blockchain Advisors for Social Impact Solutions) providing industry expertise and advisory services to foundations, philanthropists, family offices, social enterprises, charities, NGOs, impact investors, CSR decision-makers, impact assessment organizations, microfinance institutions and their associations.